My blog is solely what enticed me to join Twitter. Before that I had no urge whatsoever. I don't care about celebrities and all their vapid thoughts. I don't have a ton of friends IRL that use it. I wanted to enter Giveaways. Then I realized I could also Tweet my posts. And I found a bunch of really cool posts from other people that I enjoyed reading. And it was a place where everyone I followed was talking books and TV, but mostly bookish things, and it became really fun. AND THEN I realized all my fav authors are on there and I could like TALK to them!!! SO much fun. So does it bring traffic in?? I think it does. I don't have specific statistics (say that 5-times fast), but since joining Twitter I have had a lot of Twitter friends visit my blog, comment, and ReTweet my posts to their followers. I feel like Twitter is a must for book bloggers. It's the easiest way for people to communicate with you and if you use it a lot, you can definitely build up some regular followers. I have one for this blog. Honestly I don't use it that much. I use it under my personal name a lot... but blogging ehhh. I haven't noticed much of a "social" thing happening on there. I post my posts, but I don't notice a lot of action. Maybe people are clicking it... maybe they're not. I personally don't follow a lot of blogs on Facebook because I use it for personal stuff and I have so many other ways (Bloglovin, Twitter) to see all of your posts. I want my Facebook News Feed to be full of mostly my friends and fam from real life. Triberr is used in conjunction with Twitter and because of that obviously I love it. What it is: Basically you join a Tribe and as you post, your blog posts will come up in the "Stream". You will see everyone's blog posts in the Stream and then you click on ones you'd like to share with your Twitter followers. So I have NOT started using Pinterest for blogging stuff. I didn't really know it was an option. I've seen that people Pin their posts... and I guess that could be cool. I'd like to know if you use Pinterest for blogging and how and if you think it works??? This is a new community that book blogger can join and I'm not really sure what it's all about yet. I know when you sign up your blog you are put into a database of book blogs and it allows others to search that database and find your blog based on key words (which are usually words that relate to your blog content). People can "like" your blog and also be "friends" with you on there. 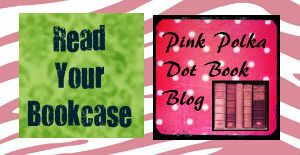 There also is a really cool blog associated with it that posts tons of tips and other bookish/bloggerish discussions. I'm not sure where this will really go, but I joined. You should too!! Wow, you know way more than me! I signed up for BB now, too. Good advice, thanks! The only one on my list that wasn’t on yours was Hoot Suite. I love Goodreads. I don't find people to be super social on there. Sometimes there will be a review that gets a lot of discussion on it, but other than that, I basically use it to keep track of my books and see what other people think of books I'm thinking of reading. I definitely use twitter a lot. LOVE it :) Such a quick and fun way to interact. I also use triberr (that's actually how I found your post!) I have a facebook page for the blog but I'm not certain how much activity it actually adds to the blog. I'm just now learning to use pinterest on the blog. I have top 10 posts scheduled for next week with embedded pinterest images (thanks to a tutorial I saw) and it is really cool. I joined book blogging but I haven't gotten too into using it yet. I just sent you a friend request :) I use Goodreads a lot too, but less for being social and more for organizing my books heh. I started using Twitter a lot more once I started blogging, too. I find that it's a fun tool and I do think it drives traffic occasionally. I like Pinterest but don't use it in a promotional type of way. My favorite social media right now is Instagram. I love following people and seeing what they are reading and going through pictures. I have started interacting with a lot of people (bloggers and non-bloggers) through IG lately. I don't use Instagram for bookish things, but that sounds like fun.... maybe I'll try to find some of my blogging friends and other book people on there! I didn't even know about Book Blogging Community. I clicked through here because of the stream on triberr, I tend to read a more variety of blogs because I see the content going through regularly. I don't always comment though, which I know is bad cause I know I love the comments myself. I'm not so social on twitter. It tends to feel awkward to me or like I'm talking to myself. I do post on facebook quite a lot and I think I get different people that way. I have a personal page and then a blog page so I can easily separate them and my friends and family don't have to get annoyed by all the book stuff I post. I have only recently started posting to g+ and that has drawn in traffic from people who never knew my blog existed. I do pin my posts. I have a board for reviews, for book covers of books not yet released, for giveaways and for blog posts that aren't reviews. I also have one for CBB Book Promotions so I pin the tour stops for people. I'm not sure if it draws traffic but I have noticed that people sometimes re-pin covers and that link is going with it so something that's out there forever and some random person is very likely to see it at some point. Whether it's worth it, I'm not sure. But it doesn't take much time and if nothing else it's cool to look and see the hundreds of books I've read, etc. I am definitely going to look into using Pinterest for blogging things. I loved your discussion series on social media. It was cool to see what SO many people thought about all those different outlets. Thanks for doing it! I'm signed up to Book Blogging Community, but don't really feel like I know enough about it for it to be useful. I totally agree with you about Facebook, I have one but don't really use it that much. Mostly I just post a status when I have a new post on my blog, but that's about it. Although I do find that I get contacted more by authors via facebook. I think the best way to be social though is definitely to go onto other peoples blogs and be social to them. If you comment on theirs, they will comment back on yours. I have met many new people this way. Really, all that I have is Twitter and Bloglovin. I have a Goodreads account, but I don't advertise my blog on it because I don't see the point. I mostly use it to post my reviews and track my books, not to network. 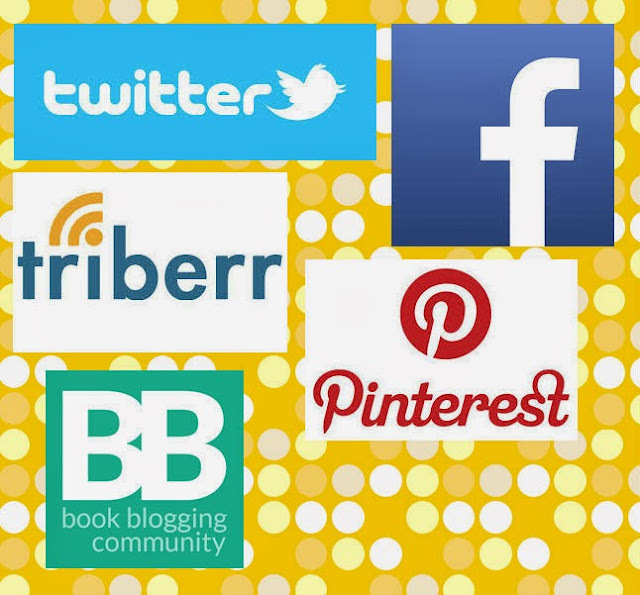 Twitter is where I do most of my networking by posting new blogs, and interacting with other bloggers and even authors! It's really cool. Bloglovin is awesome too. It helps me keep track of the blogs I've chosen to follow, and I often go through and visit new posts and just comment my little heart out. I noticed the only "real" tried and true way to meet new bloggers is to comment on their blogs! Hello there! Do you use Twitter? I’d like to follow you if that would be okay.I’m definitely enjoying your blog and look forward to new posts.